Assam Governor Prof Jagdish Mukhi appealed to the newly recruited ACS, APS and other allied service officers to play a proactive role to be able to send the fruits of governance to even the grassroots level people of the state. 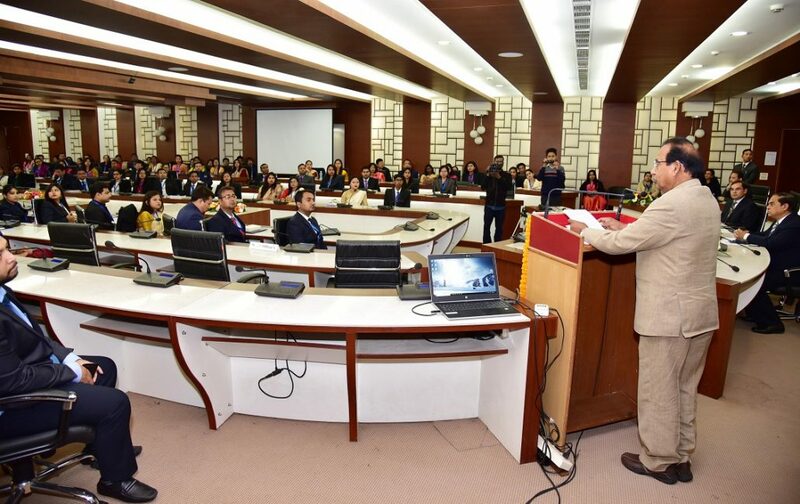 Addressing the valedictory function of the joint induction training of 198 probationers of the ACS and allied services of 2019 at Assam Administrative Staff College in Guwahati on Wednesday the Governor said, “I expect all the officers to work sincerely in their respective fields and play a vital role in taking the state forward in the path of development”. The Governor urged upon the officers to address issues that were left behind in the developmental journey and asked them to put in extra efforts to enable the people to enjoy the fruits of development. He maintained that their personal commitment to fulfill the mandate of the respective departments would go a long way in finding solutions to various administrative issues. The Governor also said that the state is besieged with several problems like unemployment as both the Central and State Governments have been taking several steps to redress the problem. Prof Mukhi asked them to lend their best possible efforts to help the government in the implementation of different schemes to solve different problems by maintaining highest order of transparency and sincerity. “If this is done it will help the youths to repose their faith in the democratic system and they will not take the path of violence and its various manifestations”, the Governor quipped. Further, Prof Mukhi said that it is the quality of the public service that will determine the nature and level of development that the state can achieve. Apart from directly contributing to the state’s progress, the sincerity and integrity would inspire other youths of the state to join the field of public service. Prof Mukhi also said that he has a lot of expectations from all the officers and asked them to work sincerely in their respective fields and play a vital role in taking the state forward in the path of development. Prof Mukhi also advised the probationers to keep themselves abreast with the latest developments in their professional fields. He also advised them to deliver their service with utmost sincerity, hard work and honesty through which the state can keep pace with the rest of the country. The Governor also assured to provide all support and protection while delivering their duties and wished them the best for a successful career. The function was also attended by Commissioner and Secretary of Personnel Department K K Dwivedi, Director in charge of Assam Administrative Staff College Manoj Kumar Deka along with a host of other dignitaries.